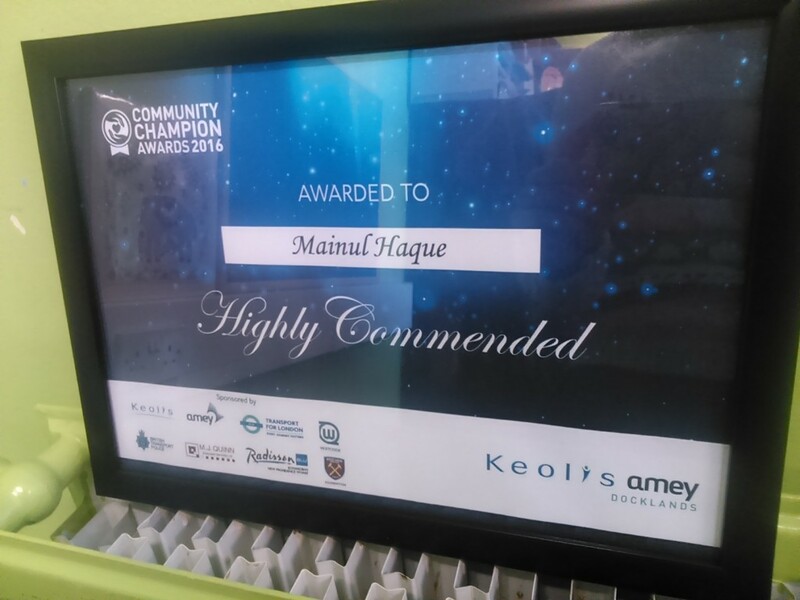 On the 1st of December Mainul was invited to the Dockland Radison Hotel to receive his certificate at the Community Champion Awards 2016. The award was for long standing health care worker for the BME Asian Community. This award recognises an individual who has provided an outstanding level of care for someone during a time of illness. We are very proud of him and his achievement and are very lucky to have him as part of our team here at St Hilda’s.